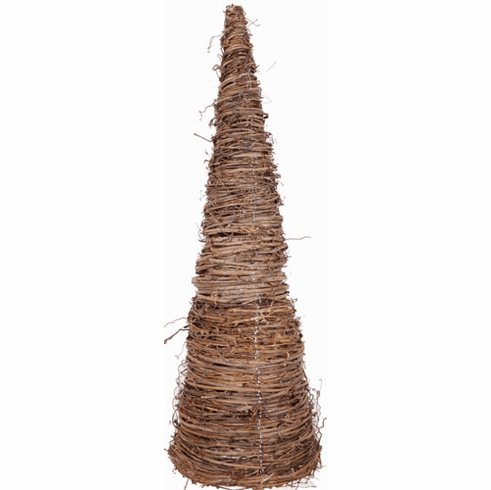 This is a 7 foot tall (84") natural vine tree that cannot help but give any room a true rustic touch. It will soon become the focal point of your room's decor as you can decorate it to fit the season. As a Christmas tree; Fall decoration; Spring display; etc. Add some mini lights for a great touch! Our trees are made from 100% natural growing vines from the hills of Tennessee. Meaures: 82-84" x 21-22" at the base. A NOTE ABOUT THE MINI LIGHTS: Currently our mini lights are out of stock. We apologize for this inconvenience. Shipping time is normally 15-20 business days.